 In addition to the report, Mecklenburg County released a toolkit to help take the information from the report and translate it into action: the next steps or “So, What.” This blog post is focused on one of the next steps outlined in the toolkit, looking at change at the community level. The report describes a continuum of housing status that encompasses housing instability, homelessness and housing stability. As the continuum graphic above shows, a household may cycle through any number of these phases during the course of a year or the course of their lifetime. The issues that impact households on one side of the continuum are connected to the issues that impact households on the other side of the continuum and include access to transportation, educational attainment, income growth, asset development, and affordable, quality healthcare and childcare. During the 2018 Point-in-Time Count, volunteers asked individuals sleeping in shelters and on the streets about their perceived barriers to obtain housing. The report shows that 61% stated their biggest barriers were tied to economic mobility. In addition, individuals completing the survey had an average monthly income of $1,044. Of the households with more than $1,000 monthly income, the top three housing barriers were inability to afford rent, unemployment and eviction. Over 75,000 of renter households in Mecklenburg County are cost-burdened, meaning they spend more than 30% of their income on housing related expenses.  Almost 30,000 households face formal eviction in Mecklenburg County during the year. Evictions impact households who are at risk of losing their housing and can serve as barriers to obtain future housing. Households experiencing cost-burden or eviction are only one crisis away from experiencing homelessness. 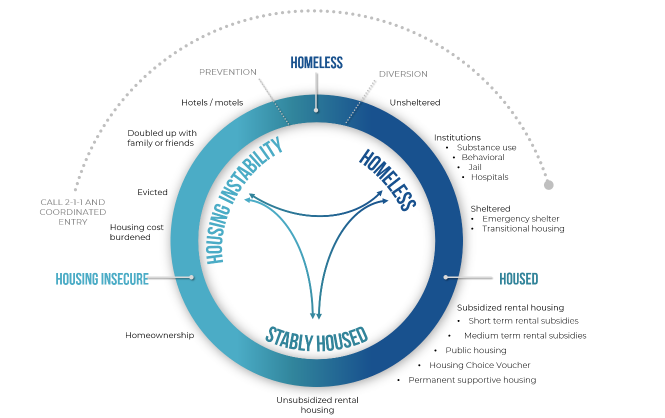 The issues that impact households experiencing housing instability are connected to those households experiencing homelessness. 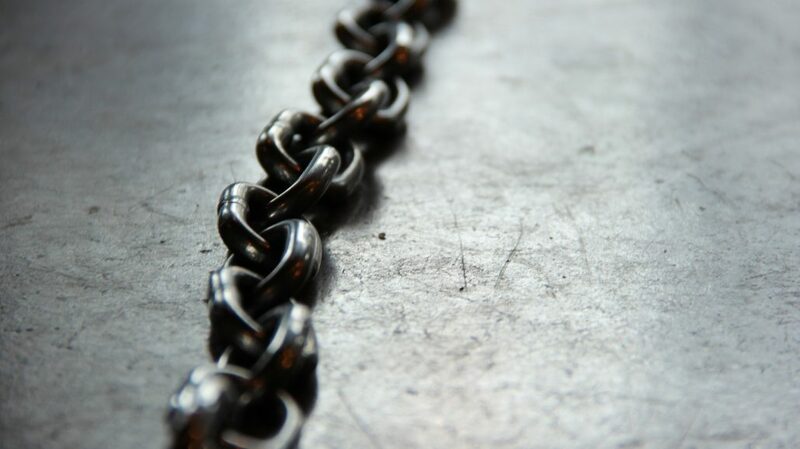 If the challenges that underlie the problem are connected, the solutions must also be linked in order to effectively address them. A big picture strategy and vision that considers the full housing continuum is necessary to create a framework that is comprehensive, linking with systems beyond housing while also prioritizing housing resources and funding. The strategy must also effectively match and manage the strengths of all stakeholders and resources in the community with the range of need from street homelessness to those facing eviction. In order to address the full continuum of housing challenges and the cross cutting issues that underly them, it is critical to align public and private funding. Without funding alignment, providers compete for limited dollars, which can reduce the amount that goes to households who need it most and create an inefficient mismatch of resources. Funding alignment also allows for the creation of shared outcomes and improved system performance, which benefits funders, providers and all the households they serve. Alignment of funding within a shared strategy and vision for the community paves the way for the kind of cross sector collaboration, coordination and partnership that can have a fighting chance at tackling the whole problem.